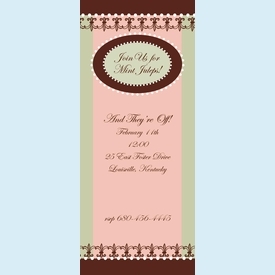 Beautiful pink, brown and sage colors combine in this elegant invite useful for just about any event! Add the theme or honoree's name in the top oval area. Coordinating personalizable notecards also available. NOTE: Only 9 sets left!